Phaser Coding Tips is a free weekly email – subscribe here. 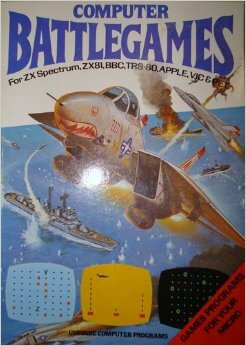 Back in the late 80s I was utterly captivated by an Usborne range of programming books, one of which was Computer Battlegames (for the ZX Spectrum, et all). The front cover and illustrations within this book promised great things! 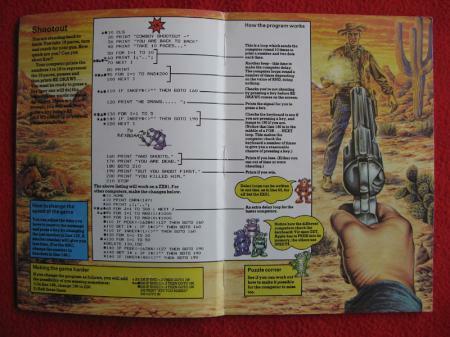 In reality only one game in the entire book even had any graphics (everything else was text mode). But that didn’t stop it firing my imagination. For this weeks coding tip I’ve taken one of the games from the book and bought it into Phaser. I’m only going to highlight the most important parts of the code here. So please always look at the source first. If you’ve questions about something I didn’t cover then ask on the forum. Clone the phaser-coding-tips git repo. That was the blurb from the original game in the book. 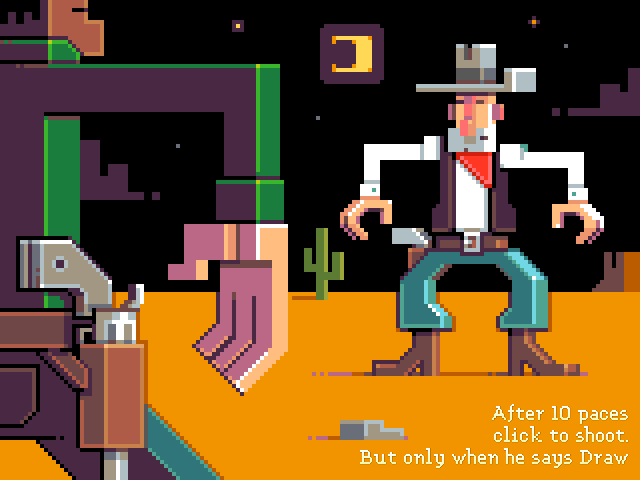 It accompanied 15 lines of code and a lavish spaghetti western style illustration. For our rendition Ilija has given it a pixel art look instead. The game consists of just 1 image, which we’ll change the texture of, some text and a bunch of timers to handle the shooting. If you look at the source you’ll notice that we’re using a slightly different structure this week. This is because we’ve a few assets to load (audio mostly) and we want a Preloading screen to display that. To do this we create 3 States: Boot, Preloader and Game within a Shootout object. Boot handles setting up some input values and then loading our preloader assets (a small logo and a preloader bar). Once we’ve got those the game proceeds to the Preloader state. In here it’s business as usual. We display a sprite, a preloader bar and load the assets. The only part that may be new to you is the update loop waiting for the audio to decode before carrying on. Once they are all ready we proceed to the Game state. * If you shoot first, you win. * If he shoots first, you lose. So it will pick a random time between 100ms and 500ms. If your time beats his, you win. It’s as simple as that! 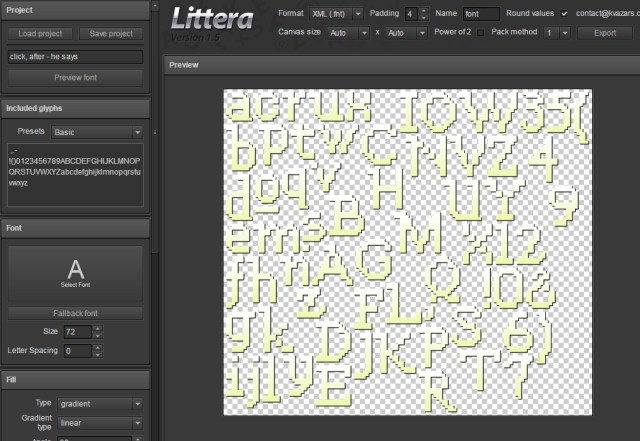 The game uses a BitmapText for the text. This was created using the free online tool Littera. You select your local font file and define the colour, gradient and characters you want included. For this game I picked a chunky pixel style font, a white gradient and a sharp drop shadow. By changing the “Included glyphs” you’re able to cut down on the size of both the resulting PNG and XML file, by only including the characters you need. Where the value at the end (16) is the font size to use. The actual font supports up to 72px (and above, but things start getting anti-aliased) but we only need some small intro text. We need several timers in the game. One to count the number of paces the cowboys are walking away, one to handle the time before ‘Draw’ is displayed, another for the Cowboy himself and a few more to time the playing of audio. This is a fixed-repeat timer. Every 500ms it will call the function stepAway and it will do it 10 times only and then destroy itself. Timers and especially TimerEvents are designed to be disposable. It doesn’t hurt if you create a whole bunch of them and then throw them away after you’re done. They also respond to the game pausing and resuming again, so are safe should you have a tab-switching happy gamer on your hands. This is the first Coding Tips game to feature audio! gasp! There isn’t much, but it elevates the feel of the game. 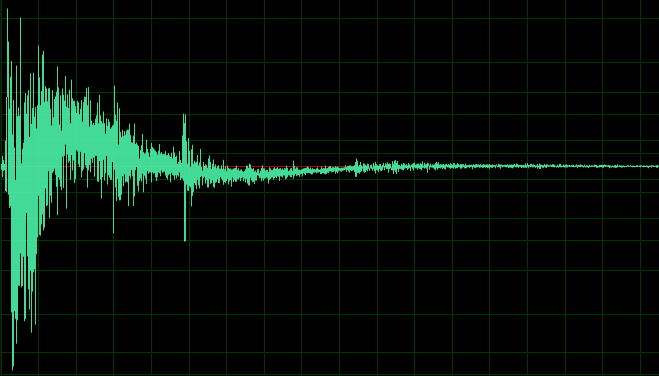 The audio game from the Universal Sound FX collection and was processed in Adobe Audition, converted to mp3s. The bitrate is probably a bit high for mobile, but is fine for desktop. The game is assuming you have either Web Audio or a browser capable of playing more than one Audio channel at once. In a later tutorial we’ll cover using Audio Sprites, but not today. This was one of the ‘box outs’ in the original book along with Making the game harder. To make the game faster (or easier) you can simply adjust the delay and reactionTime min and max values. However you could also add an element of chance in: it’s already possible for you to ‘cheat’ (try shooting the cowboy before the paces timer is up! ), maybe you could let him do the same? * Old guns were temperamental, allow them to mis-fire. * Make the cowboy sometimes cheat too! * Don’t die on a single hit, but give a life gauge and/or body parts to shoot. * Add a variety of cowboys, each with different traits. Got something you’d like featured? Get in touch. If you’ve questions or comments about the code then please ask. Equally if there are things you’d like me to write about then tell me! Until next week, happy coding. Posted on February 14th 2015 at 1:02 am by Rich. View more posts in Phaser. Follow responses via the RSS 2.0 feed.